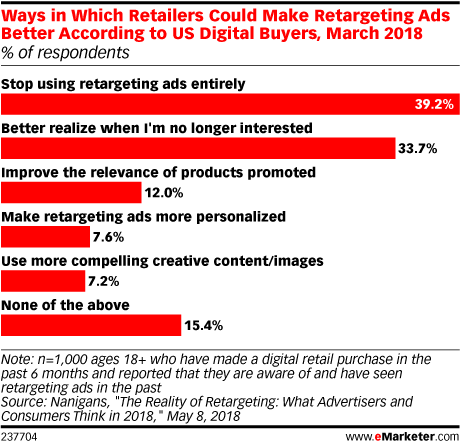 Data is from the Nanigans May 2018 Nanigans report titled "The Reality of Retargeting: What Advertisers and Consumers Think in 2018." 1,000 US digital buyers ages 18+ were surveyed online in March 2018. All respondents reported making a digital retail purchase in the past six months and reported that they are aware of and have seen retargeting ads in the past.